If you’ve gotten used to seeing the Massachusetts men’s basketball team play some of the best teams in the nation on ESPN, you might not like this year’s schedule. 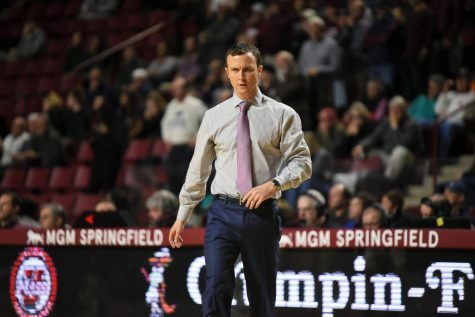 In the first two years under UMass coach Derek Kellogg, the Minutemen have played two teams ranked in the Top 25 during their non-conference schedule. This season, they are taking a step back, focusing on playing games closer to Amherst instead of around the country. The highlight of the schedule is on Dec. 4 when the Maroon and White will play Boston College at TD Garden. At the end of November, it will face New Mexico State and either Bradley or Southern California (which is a few years past the days of O.J. Mayo). That’s about as good as it gets this year, and I have no problem with that. 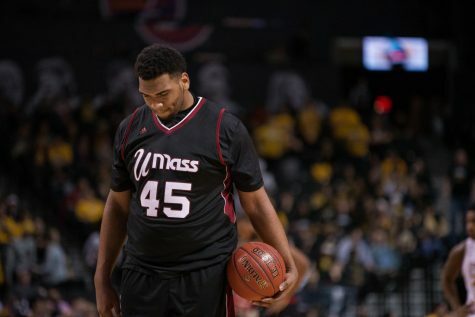 The Minutemen suffered losses above a 20-point margin to Michigan State, Baylor and Dayton. 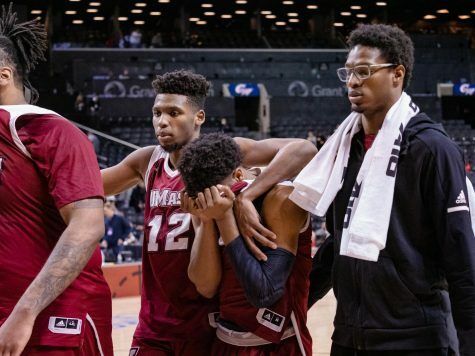 No matter how much a coach tries to keep a team on a positive note, there are only so many blowouts a team can handle before it starts to kill the morale of a team. And after ending the 2009-10 season on a positive note with a First Round victory over Charlotte in the Atlantic 10 tournament and nearly knocking off Richmond in the Quarterfinals, the last thing Kellogg needs is to have his team take two steps back by playing a team like Duke or Syracuse. 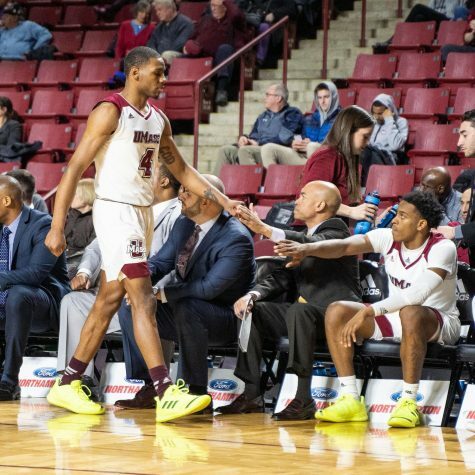 Yes, UMass gets a big pay day out of it if Kellogg agrees to go on the road, and it might be a fun road trip to plan, but it’s not practical in rebuilding a basketball program for the long term. 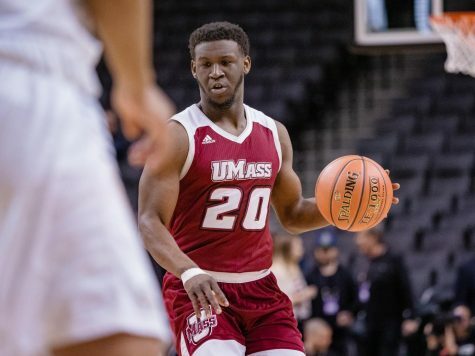 The priority for the Minutemen needs to be winning, especially with guards Gary Correia and Anthony Gurley being the only players with two years of experience playing for Kellogg. There’s no better way to do that than to schedule several home games against teams UMass should have little difficulty beating. In fact, it’s very possible that the Minutemen go into their A-10 schedule with a winning record for the first time in Kellogg’s tenure. 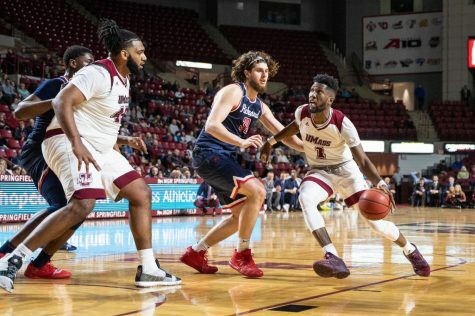 Going along those lines, Kellogg made a wise decision by not inviting Dowling – or any other Division II team – to the Mullins Center. Over the past two years, the Golden Lions have made the games perhaps a little too interesting for Kellogg’s liking. 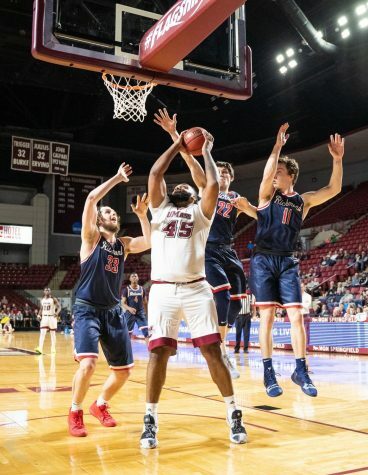 While Kellogg used this exhibition game as a way to mix and match lineups to figure out his team’s roles, the matchup with the Minutemen was the biggest game of the year for Dowling. As a result, Kellogg had to play his starters longer than he probably would’ve liked in order to scratch out victories both years. 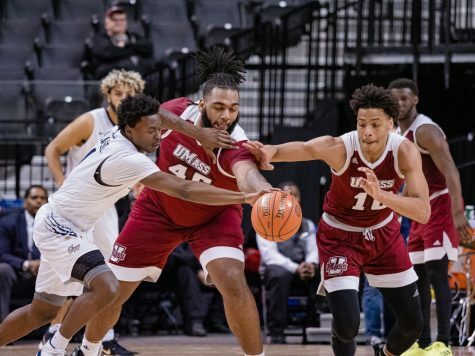 This season, UMass won’t have to worry about a Division II team going all-out at the Mullins Center as if it was an NCAA Final Four game, which should keep the confidence level high early in the season. In addition to giving the Minutemen the best chance to win, Kellogg made sure that fans from around the state and New England would get to see his team as much as possible by scheduling 21 games within 90 miles of Amherst. 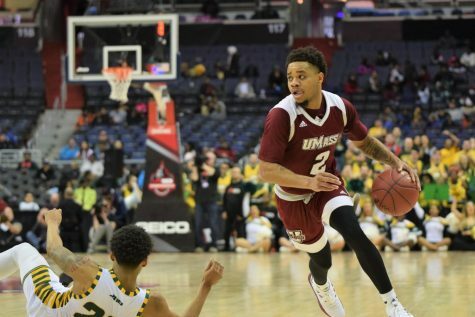 Having so many games close to home helps UMass rebuild a fan base it’s lost ever since John Calipari left the program. It also helps that most of the games will be on television thanks to a deal made with CBS 3. Ever since Kellogg took over, he’s wanted to make his team a household name in Massachusetts. This year’s schedule is made to do just that. The attendance numbers will probably reflect the fact that you don’t care if the Minutemen can defeat Sacred Heart by 15 points. But this year, having a softer schedule with more manageable games is a better option than running the risk of losing by 30 points to a nationally-ranked powerhouse. 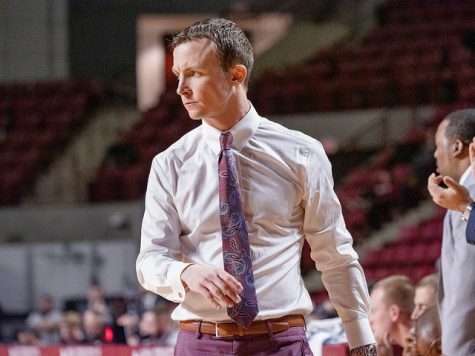 The current schedule will allow the younger players to develop and get used to a winning tradition so that when they’re upperclassmen, they will be both the players Kellogg wants them to be and a team that is used to being successful.